weird "music" but not bad. i liked the part from the screenshot. the rest is quite meh. i think a piggie is fair enough. Addition of 2 sine lines. i think i can spot some major improvement in this prod. I wish I was that motivated like BITS to keep on rolling, with all these haters around not having a single clue on how much artsy i really am..
Music is a little bit jarring, but adds to the 'otherness' of this demo. Which seems to work, so thumb up for this one. I don't have aspergers enough to appreciate this. 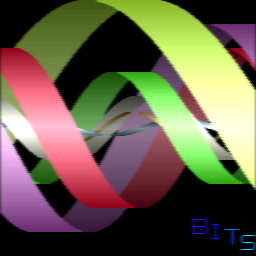 bits keeps on improving, music sounds like brothomstates! page created in 0.018133 seconds with 15 queries.